Jaguar stepped back into the sports car market in 1949 with its XK120. 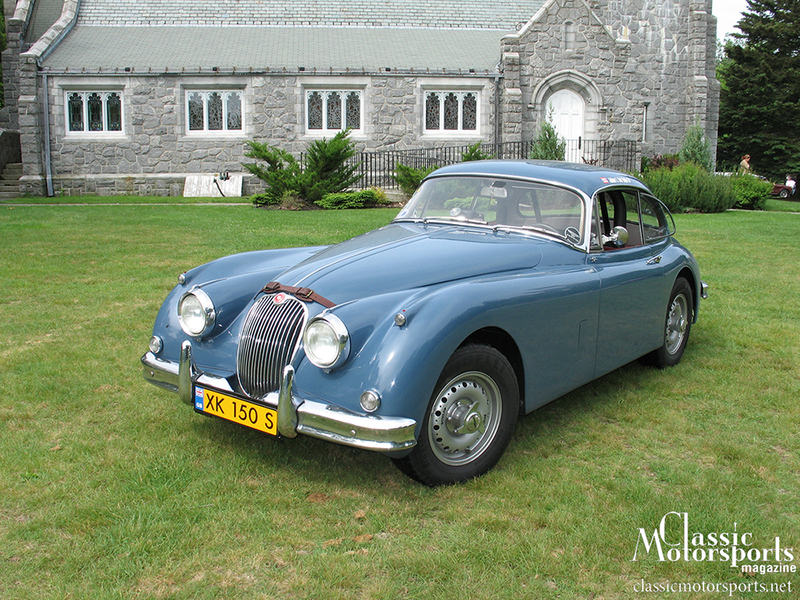 The XK140 replaced the XK120 in 1954, and the XK150 arrived for 1957. 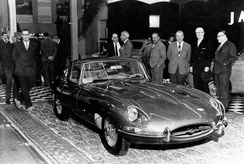 All three cars are representative of Jaguar’s rebirth in the sports car world. If it’s the driving experience that you want to enjoy from your Jaguar XK, then you might consider some modern upgrades. Though the vintage feel is what we like from these gorgeous classics, mid-20th-century technology can be disenchanting or even scary to some–especially in the case of the braking system. Modern disc brake conversions for both drum-brake and early disc-brake cars are a satisfying upgrade. Matching the performance of the Jaguar’s big six-cylinder with the stopping power of a modern brake system is comforting and adds fun to back-roads cruising. The reliability of the old-school, non-synchro gearboxes in the Jaguar XKs has never been questioned. 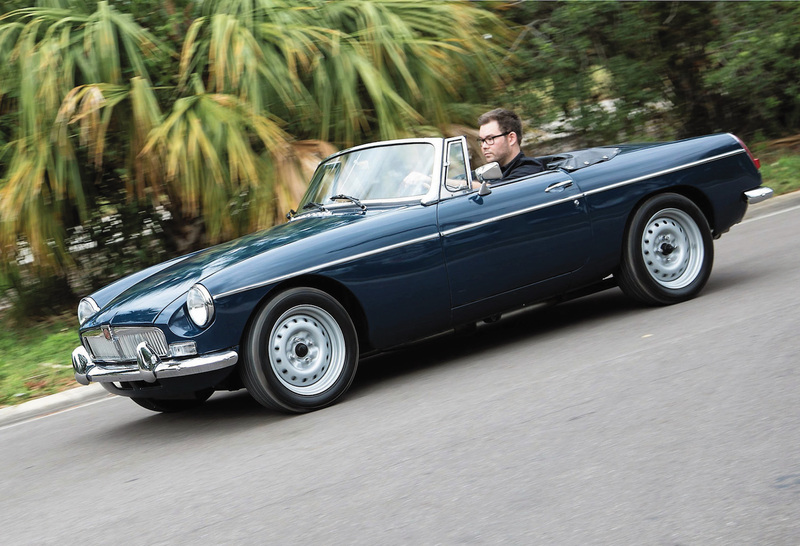 This vintage gearbox proved to be the workhorse of many British classics. Today, however, repair parts for these transmissions have become rare and costly. Using a contemporary five-speed gearbox conversion for your XK can be a cost-effective repair to stock Moss gearbox problems. Plus, owners enjoy smooth gear changes and the advantage of a fifth gear to keep the engine from working too hard on modern open highways. No, we don’t have the frustration of a hand crank to start an XK Jaguar, but there are times when the procedure to fire the bigsix can be trying. Replacing the ignition points with a Pertronix ignition, hidden neatly under the distributor cap, will provide the hot spark needed to compel this venerable powerplant to life. Also, the availability of gear reduction starters to spin the engine at faster speeds lends itself to easier starting in all conditions. Okay, all the Lucas jokes aside, the charging system provided by generators of any brand cannot come close to what an alternator can supply. Today, modern alternator electronics hidden in a generator case are readily available. These provide modern charging with a vintage appearance. Open the bonnet and everything looks undisturbed. Idle at night while the lights stay bright. One common problem we see with these cars is a stumble under acceleration. There can be a myriad of causes, but there’s one easy item to check before you take your Jaguar XK to your favoritemagician mechanic: the dashpot oil level in the S.U. carburetors. The oil damps the carb’s piston travel and keeps it from jumping up too rapidly, causing a fuel “gulp” and a temporary, quick over-enrichment. Low or no oil in the dashpot can cause this delay in pedal response. Say you have an XK Jaguar that will not start. The problem always boils down to the holy trinity of the internal combustion engine: air, fuel and spark. If there is fuel at the carburetors and there is spark at the plugs, then it could be a result of the XK Jaguar’s electronic choke design. The two components that commonly create a problem in this system are the otter switch and the choke solenoid. The otter switch is located in the intake manifold and is triggered by the temperature of the engine coolant. This switch closes the circuit for the choke solenoid, which is located between the carburetors. When actuated, this solenoid richens the fuel mixture to aid in starting the cold-hearted XK engine. While the engine is running, the coolant warms to a specified temperature, causing the otter switch to open the circuit and shut off the choke solenoid. This system works well as long as these two main components are working properly. Generally speaking, the Jaguar XKs have no more weaknesses than most other British cars. Rust problems, overheating and front bodywork damage from the weak stock brakes are the most common. The frames are massive, but the sills and rear frame extensions do rust. Check for poor door gaps as evidence of this. Rust problems can also be less apparent in these cars. Lead was used as body filler, and the sheet metal can rust under the lead. Another common spot to find rust problems is in the headlight and turn lamp housings. They sometimes trap water and rust out the fender underneath. When it comes to maintaining a Jaguar XK, there really isn’t too much “special maintenance” required. Preventive maintenance is the key to trouble-free ownership. The drivetrain found in these cars is almost bulletproof, but changing fluids regularly is cheaper than a rebuild. Cleaning the contacts inside the distributor cap will help the plugs burn the fuel more efficiently. For modern driving, upgrades to the cooling system are a must. Alloy radiators, coolant recovery systems and electric fans–in hot climates–are beneficial. I have found that advancing the ignition timing to 15 degrees before top dead center helps burn ethanol fuel more efficiently and lowers engine temperatures. Modern electronic ignitions can help with reliability and consistent timing. I run dual fuel pumps on my cars, using the second as a backup should the primary pump fail. Five-speed transmissions transform the car, combining lower highway rpm, better gear ratios, and a synchronized first gear. Disc brake upgrades are also popular for safety and performance. When considering a purchase, always buy the best unwrecked, rust-free original car you can. In the long run you will have less invested in a fine example than a basket case, entry-level car. 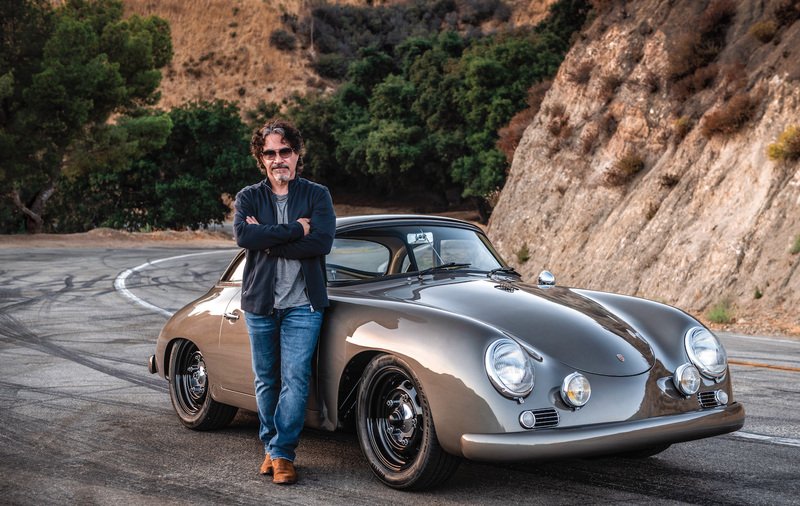 One thing to keep in mind is that these cars were hand-built and bodywork is expensive. However, mechanicals are straightforward and are not a concern. Join Free Join our community to easily find more Jaguar articles. The oil damps the carb’s piston travel and keeps it from jumping up too rapidly, causing a fuel “gulp” and a temporary, quick over-enrichment. I think that's backwards. Delaying the pistons' rise subjects the jets to greater relative vacuum, momentarily drawing more fuel and preventing a lean stumble, not a rich "gulp." This is how SUs get by without accelerator pumps.